the sacraments of Baptism and Holy Communion. 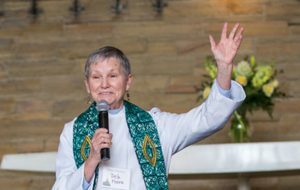 Incorporating mission trips – locally in the region and within the United States and globally as far away as Ghana – has been an integral part of her ministry in the various churches she has served. Deb is mother to three millennials, all of whom live in Southeastern Massachusetts.